Tacky Thrift Store Art FTW! A few months back (in this post) I mentioned being in the middle of attempting to revamp some thrift store art. I really wasn't sure if it would turn out because so often "in theory" is much better than actual execution. 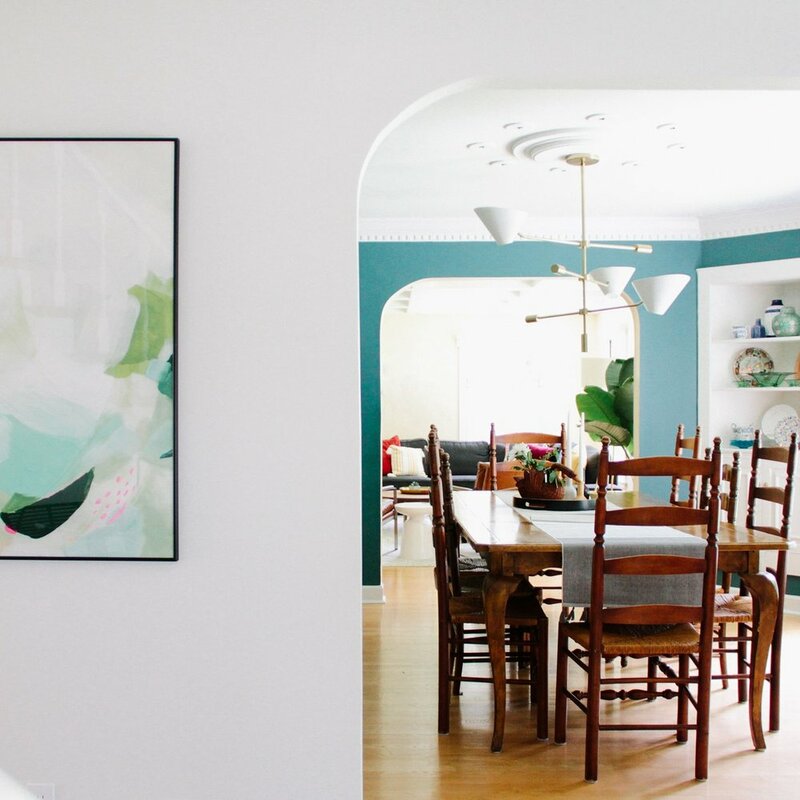 5 Tips for Filling Your Home with Good Art (on the Cheap)! I'm currently in the middle of revamping some thrift store art, just waiting on the new frames I ordered to arrive. If it works I'll have more inexpensive wall decor to add to our brimming collection. There was definitely a time when it felt impossible to acquire interesting, but affordable art. I'm not just talking one-of-a-kind masterpieces; even stylish prints were out of reach. And sure, while I hope to eventually deck our walls with more significant pieces over time, for now I'm content with cheap vs. the naked alternative.